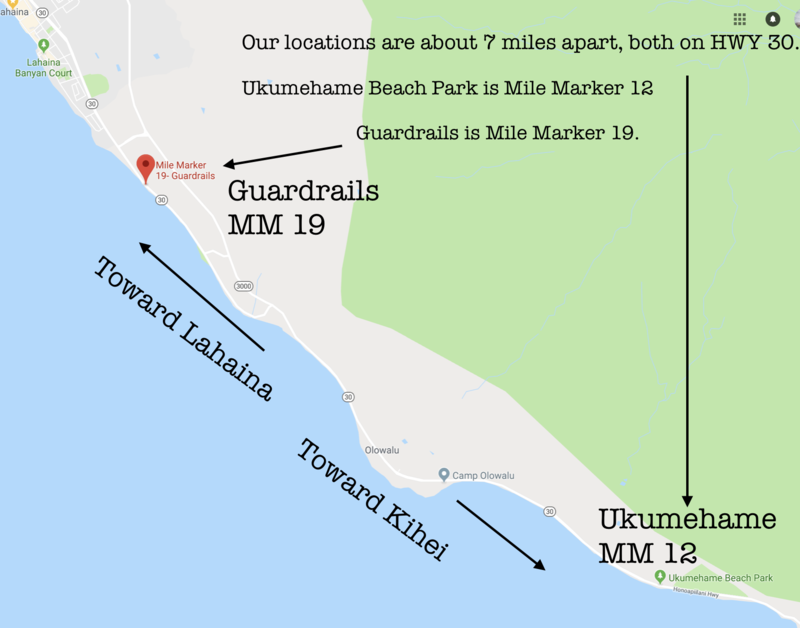 Guardrails is a gravel/dirt parking lot, 400 feet south of ‘Puamana Beach Park’, off of HWY 30, at Mile Marker 19. You may see our white pickup truck, but if you arrive early, we may be unloading the boards a bit further down the beach. Please wait for us in the lot. Keep scrolling for written driving directions and a photo of the location. Head south on HWY 30. 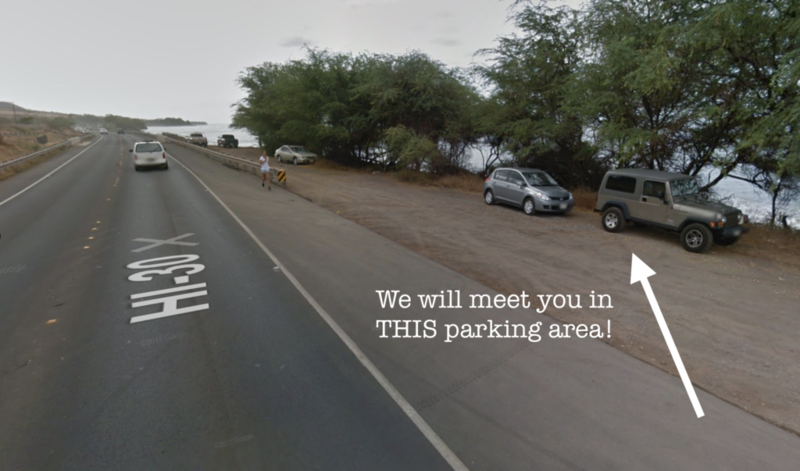 Once you are past ‘Lahaina Town’, you will pass Puamana Beach Park, in 400 feet, you will see an unofficial gravel/dirt parking lot. If you do not see our white pick up truck, we may still be unloading the boards along the guard rail and we will be right back in the parking lot as soon as we are done. Please wait in the gravel parking lot for us, this is where we will be checking you in. If coming from the Kihei or Kahului side, follow HWY 30 towards Lahaina. Past Leoda’s Pie Shop, the Mile Markers change back to 0. After Mile Marker 2.5, turn LEFT onto Hokiokio (0.3 miles), then LEFT on Hwy 30 (0.5 miles). There is an unofficial gravel/dirt parking lot on the ocean side, 400 feet south of Puamana Beach Park. If you do not see our white pickup truck, we may still be unloading the boards along the guard rail and we will be right back in the parking lot as soon as we are done. Please wait in the gravel parking lot for us, this is where we will be checking you in.